An increasing number of people strive to avoid environmentally harmful products and services and consciously search for high-quality and environmentally friendly alternatives. However, it is often difficult for consumers to ascertain which products and services meet their requirements due to the sheer abundance of products and services on offer. A plethora of different labels also creates uncertainty. In order to be able to make the right decisions, consumers thus require above all reliable and neutral information that they can trust. 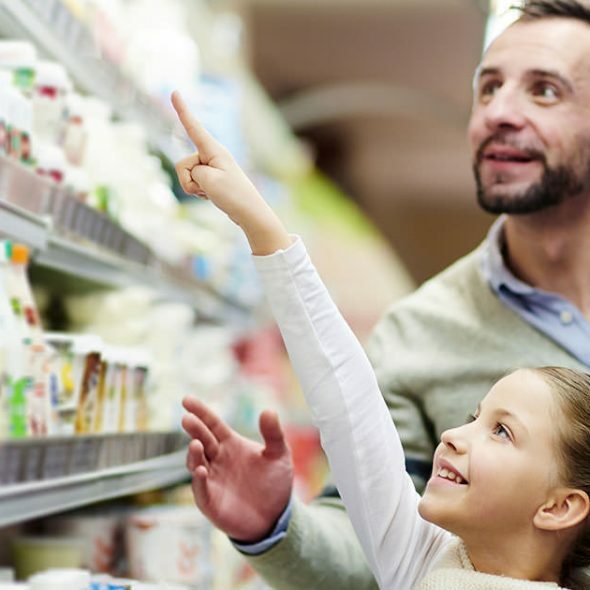 For example from RAL: The independent and non-profit oriented experts for labelling offer neutral guidance through, amongst others things, the Blue Angel and EU Ecolabel in the RAL ENVIRONMENT business area. RAL QUALITY MARKS (GÜTEZEICHEN) have been awarded by the RAL Deutsches Institut für Gütesicherung und Kennzeichnung e.V. for more than 90 years. They provide consumers with neutral and objective purchasing guidance and are also recommended by consumer organisations due to their transparency and reliability. RAL develops the criteria for approving the quality marks with the involvement of independent institutions such as consumer and industry associations, ministries, authorities and testing institutions. These criteria cover all important aspects for the use of products and services from a consumer’s perspective such as safety, compatibility with human health and economic efficiency. Environmental protection also plays an important role for many RAL Gütezeichen (Quality Marks). Due to their stringent quality criteria, products and services holding a RAL Gütezeichen (Quality Mark) also stand out because they are particularly durable and sustainable. To ensure that consumers can also rely on a high level of quality over the long term, adherence with the Quality Assurance and Test Specifications is continuously checked through self-monitoring and regular independent monitoring by third parties. Those people who want to preserve the environment and make a contribution to greater environmental protection are able to reliably identify environmentally friendly products thanks to the BLUE ANGEL AND EU ECOLABEL awarded by RAL. Both labels stand for particularly environmentally friendly goods and services and are awarded based on a strict certification process that includes the expert testing of specific environmental criteria. 12,000 environmentally friendly products and services have now been certified and clearly demonstrate that the Blue Angel is a success story. The winners are environmental protection and consumers. You can rely on this label for which RAL has been the state-authorised awarding body since 1978. The owner of the Blue Angel is the German Federal Ministry for the Environment, Nature Conservation and Nuclear Safety. RAL handles the testing process, concludes the contracts on the use of the environmental label and organises, moderates and documents the expert hearings. RAL also provides advice at the meetings of the Environmental Label Jury and its committees and represents the Blue Angel legally in the event of the misuse of the label. As a result, RAL ensures that the German environmental label constantly meets the latest environmental protection requirements and thus remains independent of individual economic interests. Due to its labelling expertise, RAL has also been the sole awarding body for the EU Ecolabel in Germany since 1992. The renowned EU Ecolabel is awarded to products and services that have a comparatively low impact on the environment in all member states of the European Union and also in Norway, Lichtenstein and Iceland. The label covers a wide spectrum of product groups from cleaning products, textiles, lubricants, paints and lacquer through to tourist accommodation companies and camp sites. It helps consumers to clearly identify these products and makes it easier to select products across Europe. The RAL COLOURS business area provides guidance in the vibrant world of colour. RAL Colours has been making it easier to define colour tones and ensuring that this process can be carried out reliably since 1927. Users can thus rely on the fact that RAL colour cards and templates always have the same quality and the highest level of precision. This uniform language of colour provides protection against misunderstandings worldwide. RAL CLASSIC – the best known colour collection – contains 213 colour tones based on water-soluble paints. Other comprehensive colour palettes for a diverse range of applications are also available in the form of RAL DIGITAL, RAL EFFECT and RAL PLASTICS. In order to ensure that consumers can rely on the fact that these colour palettes are RAL products, they contain a hologram that is just as secure as a fingerprint and protects against counterfeit products. The RAL LOGO LICENCE protects consumers who place their trust in the verdicts issued by Stiftung Warentest from deceptive and misleading advertising using the Stiftung Warentest logo. RAL issues the licences for their use to authorised companies and monitors adherence with the agreements. This prevents the use of false or outdated verdicts in marketing that is designed to deceive consumers. In addition, the RAL LOGO LICENCE is available to institutions and companies that want to independently market or monitor their brand.